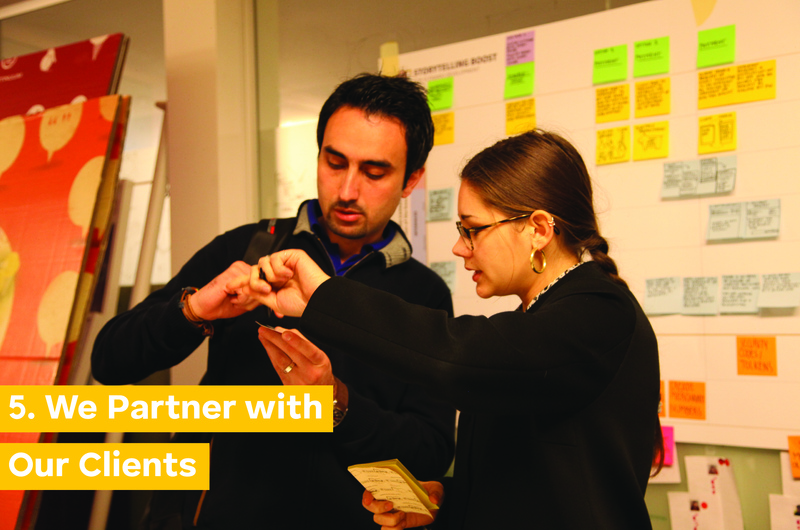 Continuum has been delivering innovation in the financial sector for decades, and we’ve worked across projects ranging from improving the ease of government-to-person social support payments in Pakistan, to imagining and designing the future of the bank lobby in Chile. Our remit is global, and we’ve partnered with banks like BBVA in Spain and CITIC in China and worked everywhere from Mongolia to Kenya. Although this post focuses upon what made our recent engagement with the National Microfinance Bank of Jordan a success, we’ve been applying and refining these techniques since our shift to working in service design, and these techniques are foundational to our process, regardless of the market in which we work. While our team of researchers consistently brings the “outsider” mojo of compelling interview methods, engaging stimuli to spark conversations, and years of experience building trust in unfamiliar and low-trust environments and around sensitive subjects (from personal finances, to contraception, to medical conditions, to...you name it), these are actually just table stakes. We think of our local fixers (and team) as our “plug adaptors” for our design approach, and they make sure our methods match the context. Fixers are also critical for helping get our team members acclimated and teeing up a positive learning experience for the clients we bring into the field with us (see tip #5, “We Partner with Our Clients”), which among other things means having everyone’s “welcome kits” assembled. 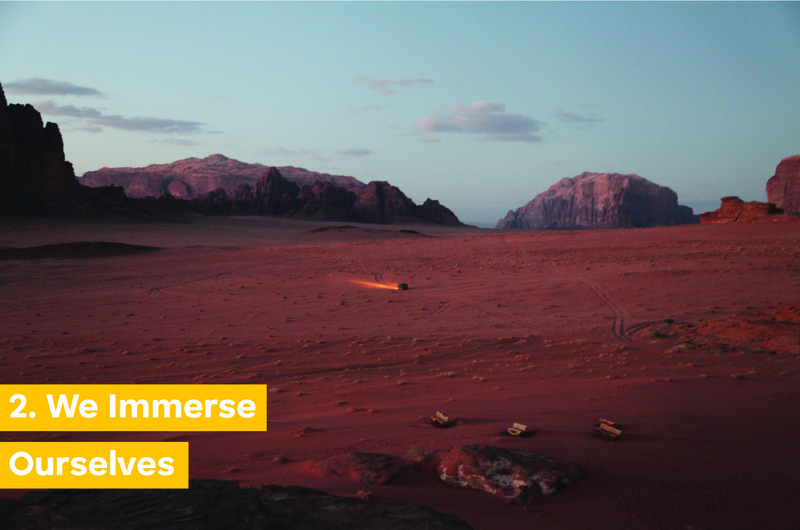 In Jordan, this included Nokia feature phones fitted with topped-up SIM cards, a guide to the local neighborhood and where to find which stores, a USB stick, and the requisite combo of sunblock/bug spray/umbrella depending upon the season and setting. When we’re lucky enough to find skilled fixers, everything just works better, and everyone is a bit happier (which is good, because you need high spirits to make it through three weeks of 16-hour days spent in the back of Toyota pickups driving over dusty single-track roads). Whether working in San Jose, California, or São Paolo, Brazil, we take effort to place ourselves in as many authentic interactions with the populations we are trying to understand as possible. This is especially important whilst trying to get a handle on the complex set of interactions and emotions that define people’s day-to-day relationships with money and finances. This can be uncomfortable. We can’t just choose to experience the pleasant, enjoyable parts of money and finances in local contexts—we’re on field research, after all, not a vacation. For example, after interviewing one family in rural Jordan for two hours and hearing about how tight on money and indebted they were, they rolled out a feast of biryani that likely cost them (or, more realistically, forced them to borrow from their neighbors) the equivalent of a week’s wages. We could’ve sidestepped the issue and ignored it, but instead, we dug into it with the family and our client team members from the local bank branch. There was a great deal of hand-wringing and downcast gazes, but we got to understand taboos around borrowing, spending, and talking about money in a way we never would have had we simply read about or been told about them. We know we can never get back time or budget once they’re burned, so we use both wisely to get more acquainted with “real life” in our research contexts, rather than reaching for creature comforts and trying to isolate ourselves from it. Thankfully it has become easier to resist the momentum that seems to push internationally based teams to cloister themselves within the familiarity of an international hotel chain. By narrowing distances between our field team’s daily life and that of the population we’re trying to learn about and understand, we get a much clearer idea of the challenges, obstacles, and daily tasks that population has to deal with, the hidden joys of the places they live, and how these things influence the financial services we design. 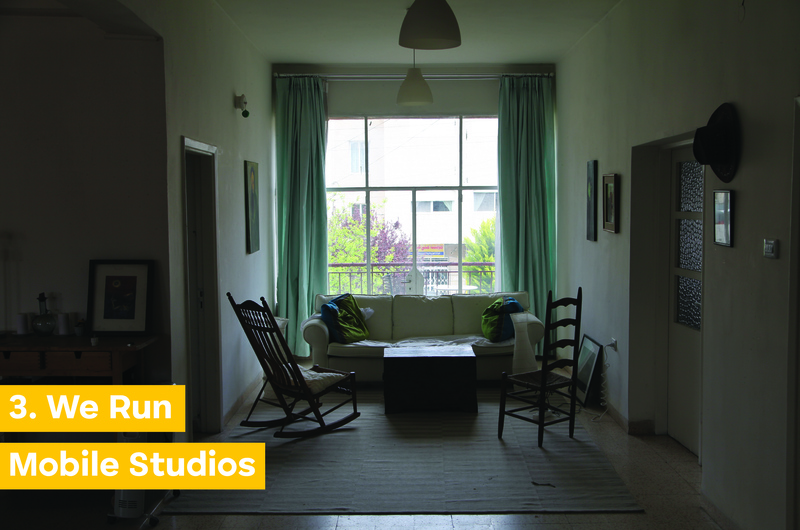 What makes a “good” mobile studio varies by engagement, but we generally aim for somewhere that lets us quickly get out into the context, while also giving us and our client a sanctuary/workspace and a place to hold ideas. This goes along with the other elements of how we run a good field study, but with limited time in the research setting, internationally based teams can’t always head back to a home studio to iterate on prototypes. To make sure our prototypes are evolving in a meaningful way, and to demonstrate best design practices for members of the client’s team who are working alongside us, we review our prototypes as often as we receive feedback from the users about them. In these cases, having a good fixer (point #1) who can connect us with the resources for prototyping in-field (from X-Acto knives, to foamcore, to a talented local illustrator to help animate storyboards) makes on-the-go prototyping much easier. 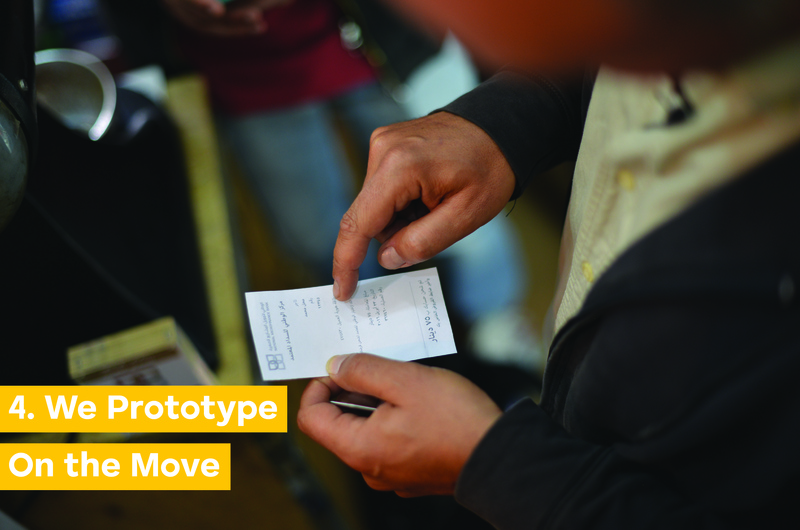 Also, a space like a mobile studio that can accommodate the activities that come with on-the-go prototyping makes life much easier as well (point #3). As the design researcher and strategist Steve Portigal once said, "A standard predictor for success [in user research] is how much the client can join the fieldwork." Making sure that clients participate in research is absolutely necessary to the success of not only the engagement we’ve been hired for, but for the entire client organization. This is especially true if, as with the National Microfinance Bank, the client doesn’t have an in-house design team. While it would have been easy to power through the design process ourselves, we structured the engagement to bring along key members of the client organization throughout the project. Besides including different bank employees on each interview, we also invited the bank’s leadership to a three-day workshop in Continuum’s Milan studio. Just as our team’s thinking was pushed by following the above points, we designed a workshop experience for our clients that helped them reframe perspectives around their business and customers that may have ossified through years within their particular silo at the bank. 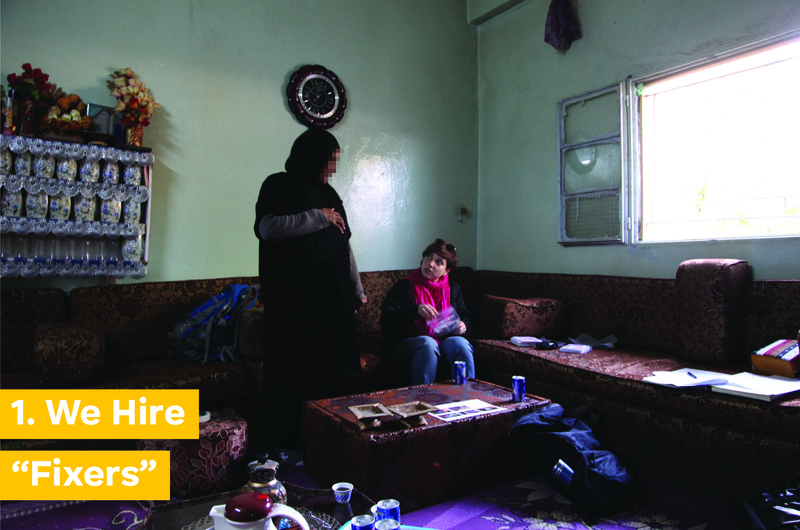 Working with consumers to unearth insights about complex problems like access to loan repayment systems in the Middle East can be daunting, but when we follow these steps, we design our fieldwork with care, insuring we will learn as much as possible alongside our clients.